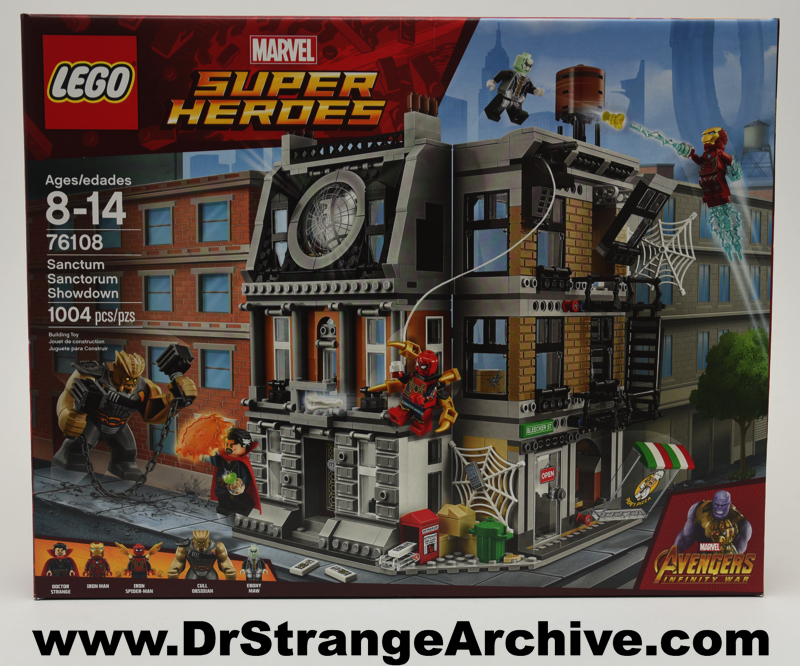 Description: This is the 1004 piece LEGO Marvel Super Heroes Infinity War Sanctum Sanctorum. It is item number 76108. 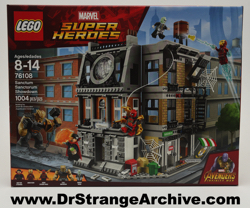 It comes with the following figures: Doctor Strange, Iron Man, Iron Spider-man, Cull Obsidian and Ebony Maw. This is a large kit with several action features such as break away windows and trap doors. It includes the Sanctum and the corner Pepe's Pizza shop with an apartment above it.